A gentleman farmer whose sense of civic duty draws him into Massachusetts politics. 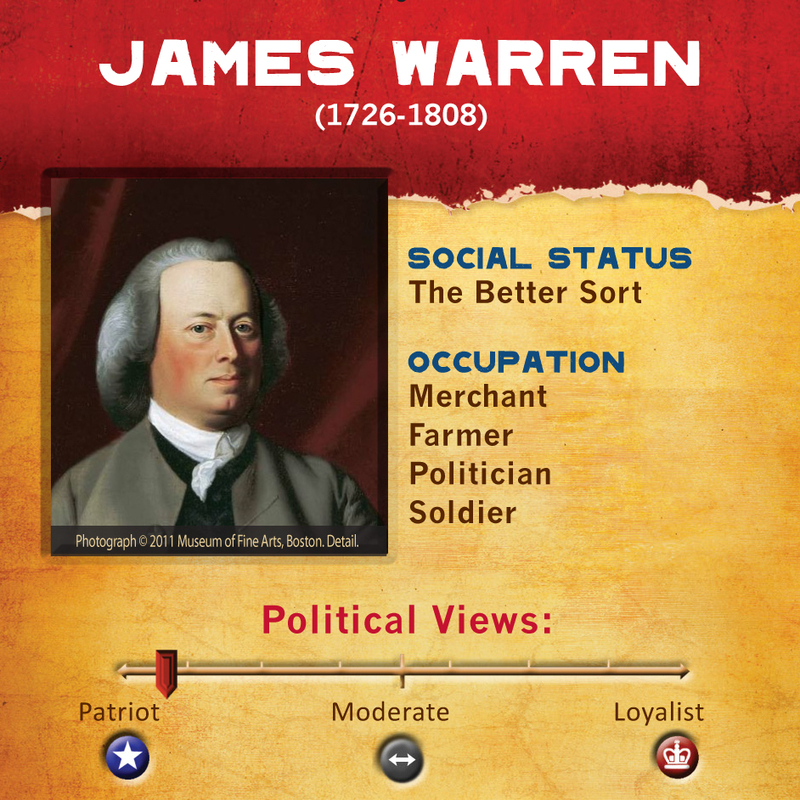 James Warren is a rare example of an 18th century man who is less famous than his wife. 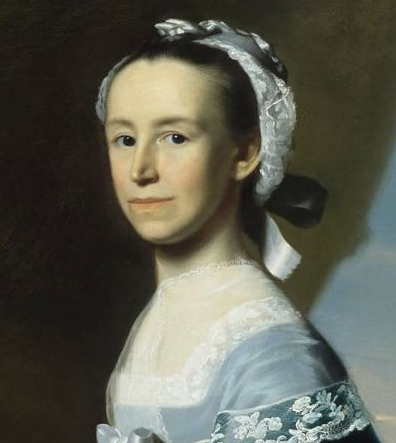 Warren was an influential politician in his day and a close friend of John Adams. During and before he was heavily involved in Massachusetts Government, but after the war he became felt that the US government betrayed the ideals of the Revolution and he retired from public life. You represent Plymouth in the Massachusetts Assembly at the Old State House in Boston. You are an active Patriot and, as the war dawns, you become a General in the Massachusetts Militia, and fight at the Battle of Bunker Hill. When later asked to follow the orders of a lower ranking officer, you claim you are sick and resign your position. After the war you feel pushed out of politics, mainly because of your personality clash with the powerful Governor, John Hancock.